All year round you can play golf and tennis, do some archery or horseback riding, you can swim (both in the sea or in the new swimming pool), do some water skiing and some kayaking, go sailing,windsurfing and parachuting as well. But don’t forget bicycles! They are easy to rent and even most hotels provide them complimentarily. You can take many pleasant rides from end to end of Lido. Let’s take a start from Malamocco! Malamocco (towards SW), was the first dodge’s habited area and it’s still a typical village, where you can find calli, campielli (venetian typical small squares), gothic houses and popular restaurants with some good wine, too. Hereafter you can keep going towards the Alberoni,at the far end of the island where you will find a deep sandy beach, with dunes and centuries-old shady trees, but most of all an excellent golf course. With its sandy ground, natural drainage and evergreen field the “Golf club Venezia” is technically one of the best existing courses you can attend almost all year round and play on its 18 holes sloping down to the sea. 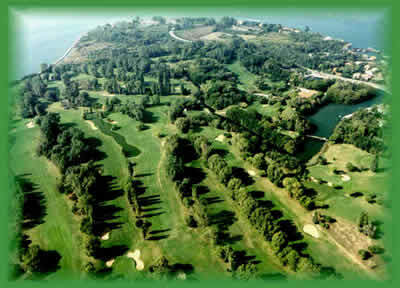 Moreover, this golf course is absolutely unique because it’s stretching through the rests of an old Venetian fortress of the XVII century which has always been there to protect the Serenissima. Boats and ferryboats leave from the Alberoni to Pellestrina, which is another island and afterwards to Chioggia, already located on land.